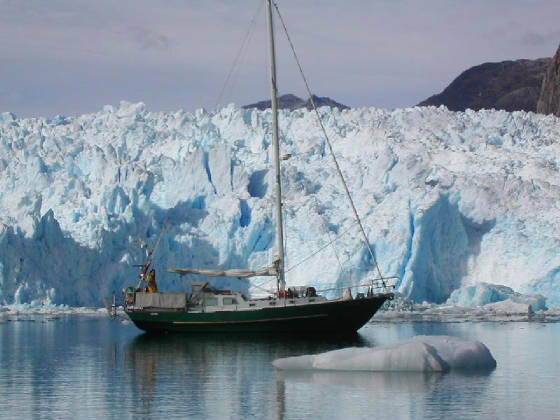 In June 2001, Mike and Charmain set off from the east coast of Canada to sail around the world on board Vire Nord, a 35 foot steel sloop. This is the story of our adventure, we have visited tropical islands to glaciers and icebergs, have made wonderful friends and love our new way of living. Enjoy the site and travel with us from Canada, the Azores, Portugal, Marocco, Canary Islands, Brazil, Uruguay, Argentina, Chile, the Pacific Islands, New Zealand and Australia and South Africa. After living and working in Perth from October 2005 VIRE NORD is once again on the move - we left Fremantle in April 2008 and have now crossed the Indian ocean, we visited the following places - Cocos Keeling, Rodrigues, Mauritius, Reunion, and VIRE NORD is currently in Knysna, South Africa.